A classic mermaid silhouette is updated with modern detailing for the most strikingly gorgeous look in this full-length gown. 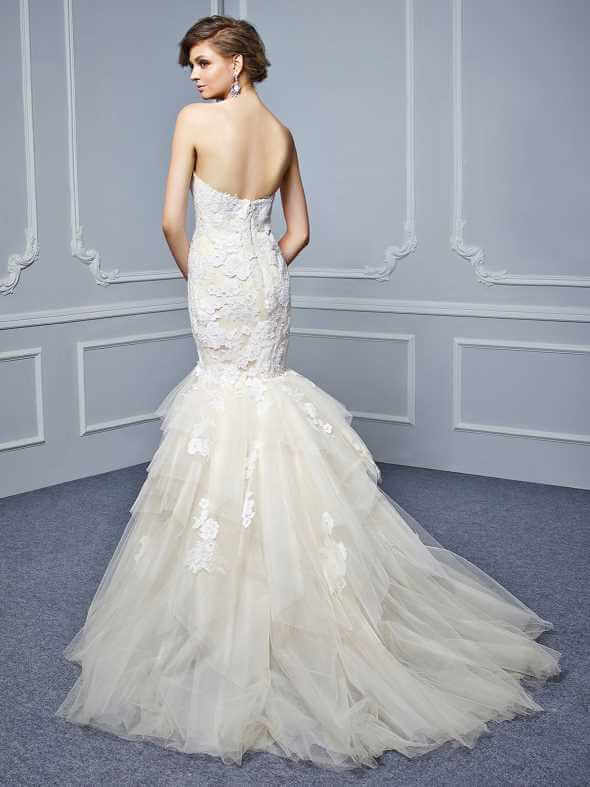 A simple strapless sweetheart neckline complements the intricately detailed corded lace and Chantilly lace bodice while lace appliques drape down onto an asymmetrical, tiered tulle skirt. The lovely look is complete with an invisible back zipper closure.